Anytime you find yourself in need of furnace repairs for your State College area home, you want to be sure that you have the name of a professional heating contractor you can trust to get the job done, and get it done right. 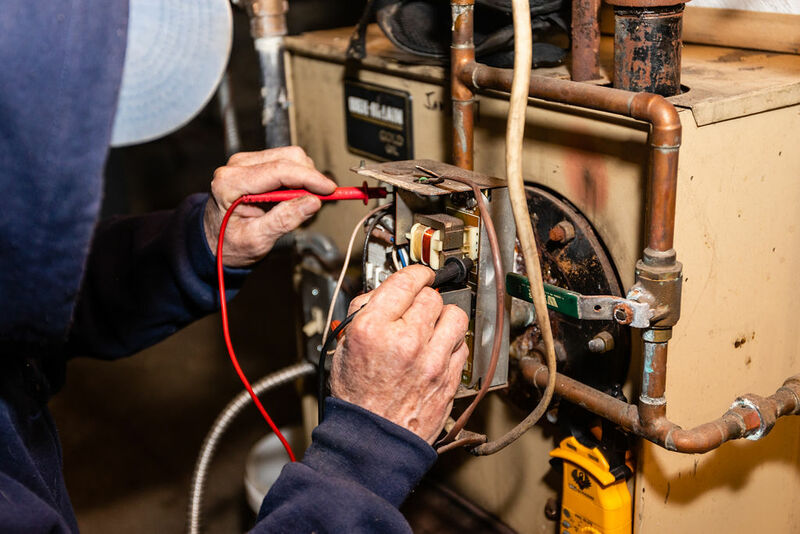 Here at The Best HVAC, our team of skilled and experienced furnace repair specialists can provide you with the comprehensive repairs you need to keep your system operating effectively, efficiently, and, above all, safely through the entirety of the long, cold winter months. Has your home's furnace been making strange sounds lately, or has it been having difficulty in keeping your home at the level of comfort you and your family are accustomed to? If so, you shouldn't wait for something to go horribly wrong. Give our team of furnace repair professionals a call today and let us help you get your system back up and running to restore comfort to your home. Here at The Best HVAC, we are the premier State College HVAC company, and this isn't a reputation that we take lightly. While heating repairs are never something you should put off when you need them, in many ways, it is even more important to do so when you have a furnace in your home. Furnaces utilize a combustion process in order to create heat for your home, and because of this, ignoring damages or failing to get the repairs you need when you need them can actually product unsafe conditions throughout your home for you and your family. Don't take chances when it comes to your home's furnace. Give our team of professionals a call today and let us take care of all of your furnace repair needs. As a responsible homeowner, we realize that keeping your home safe and comfortable are two of your top priorities, and we are here to help you do so by providing you with high quality furnace repairs that you can count on. Your furnace is a very important feature of your home, and as such, it pays to make sure that you entrust its care to someone who is going to be thorough and never cuts corners in their work for the sake of just getting the job done, and here at The Best HVAC, you will find both. No matter how simple or complex your furnace repair needs might be, our team of professionals never pack up until the job is done, and we are sure you have everything you need to keep your home and family comfortable and safe.